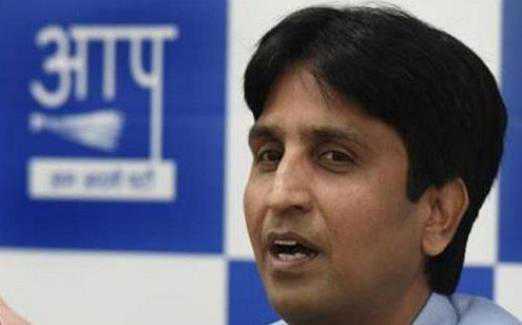 Banda: In what could set off a new political spin, Aam Aadmi Party leader Kumar Vishwas has attended a BJP programme, sparking fresh speculations over his changing loyalties towards the saffron party.On the birth anniversary of former PM Atal Bihari Vajpayee, BJP leader and Rajbhasha Hindi Salaahkar Samiti member Ramesh Awasthi had organised 'Atal Kavyanjali' and 'Atal seminar' in Bundelkhand's Banda on Sunday. The event, which was organised at the GIC ground, saw participation of several renowned poets, along with the AAP leader.Dr Vishwas left the audience spell-bound with his brilliant rendition of poetry, while giving room to the conjecture that efforts to reportedly bring the poet in the ambit of the party, were underway. A BJP leader present in the programme averred that after his recent distancing from the AAP, the poet needs a new political party platform and there can be no better option than BJP.